Home / Dog Bite / How to Prevent Dog Bite? Dog attacks are reaching epidemic proportions. 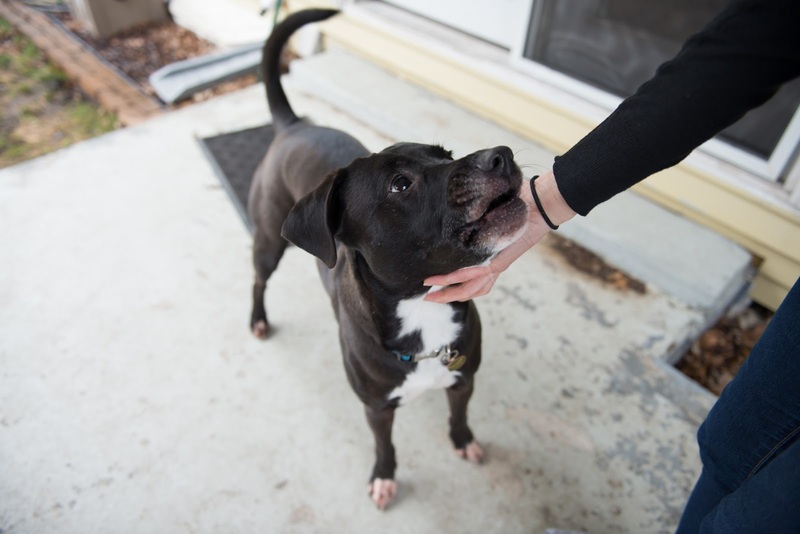 The Centers for Disease Control and Prevention (CDC) report that 4.5 to 4.7 million dog bites take place in the United States alone. Of these cases, approximately 756,000 require medical attention. The majority of dog bite victims are children age 10 and under. Others susceptible to dog attacks are the elderly, postal carriers and others who routinely make "house calls" such as meter readers. The commonly held myth that strays are the culprits of most dog attacks is a fallacy. The reality is, the perpetrator of most dog bites are not strays, but the family dog. In fact, you are more likely to be attacked by your own dog or the dog of your friend or neighbor. The stereotype of a vicious dog lurking in the alleyway, ready to pounce on an unsuspecting victim, needs to be dispelled. Only then, can the issue of dog bites and their prevention be adequately addressed. Statistics by the CDC show that the number one indicator of dog bites is neutering. Non-sterilized male dogs are three times more likely to bite than their neutered counterparts. Properly socializing and training one's pet is also crucial in the prevention of dog bites. This is most assuredly a preventable problem as the major cause of dog bites is the irresponsibility of the dog's owner. As a dog owner or potential dog owner, there are ways to guard against the possibility of you, your children, neighbors or friends being attacked. Becoming an informed pet owner is the first step to being a responsible pet owner. How to Guard Against the Possibility of Dog Bites? • Due to the high incidence of dog bites in younger children, it is recommended that you wait until your child is at least 4 years or older before bringing a dog into the home. • Socialize your pet. Start when he/she is a young puppy so that they will not fear or be uneasy around other people, animals, events (family gatherings) and places (the park). This should be done gradually. Little by little, expose your pet to different situations under circumstances that are as controlled as possible. • Neuter your pet. As stated above, a neutered dog is three times less apt to bite. • Before obtaining a pet, consider the breed carefully. A veterinarian would be an invaluable source of information. They could inform you about the temperament of a particular breed and which one would be best suited for lifestyle and living situation. • Ensure your dog's vaccinations is up to date. It is also essential to monitor their general health. Irritability often goes hand-in-hand with illness. Making sure your dog is healthy will ensure that they are less likely to bite. • Spend ample time with your pet. Dogs are extremely social animals and will often develop behavior problems if left alone for extended periods of time. • Properly training your pet is essential to the prevention of dog bites. Teach your pet to "stay", "sit", "come" and "no" as well as incorporating fun games to aid in the formation of a bond of trust and obedience not only between you and your dog but also between your dog and people in general. You do not want your pet to be perpetually leery or fearful of other humans, as this will make them more prone to bite out of fear or uncertainty. • Never leave a small child or baby unattended around a dog. No matter how sociable or well behaved the dog may appear, there is always the potential that they may bite. It is better to be safe than sorry. • Teach children, regardless the age, to be careful around animals. This includes teaching them to never approach an unfamiliar dog and to always ask permission from the dog owner before petting or touching their furry, four-legged friend. • Be on guard for possible dangers. There may come a time when you are faced with the potential of being bitten. In order to stay as safe as possible, there are certain things you need to know. Also, it is imperative to teach this information to your children as well. First, never approach a dog that is caring for their young, eating or sleeping. Female dogs are known to be extremely protective of their puppies. In order to guard against a potential bite, it would be best to leave them alone when they are nursing or otherwise caring for their puppies needs. Also, a dog startled from their sleep may bite instinctively as a protective response. If you feel threatened by a dog, the best thing to do is remain calm. Don’t make eye contact and back away. Never turn and run, as dogs naturally love the thrill of the chase. Lastly, if a dog does attack and you are forced to the ground, protect your face at all costs. Curl yourself into a ball and cover your face and neck with your hands and arms. The issue with dog bites is reaching epidemic proportions. It has been noted that many attacks could have been prevented if only the owner was more responsible. Dog bites are truly more a "people problem" than a "dog problem". If you choose to own a dog, it is your duty (not only to your pet) but to society, to take your responsibility seriously. There are things you need to know and do to ensure that your "best friend" does not bite you, your children, neighbors or others in the community. With dog ownership comes the responsibility to care for your pet in such a way that the potential for an attack is minimal. How to Prevent Dog Bite?